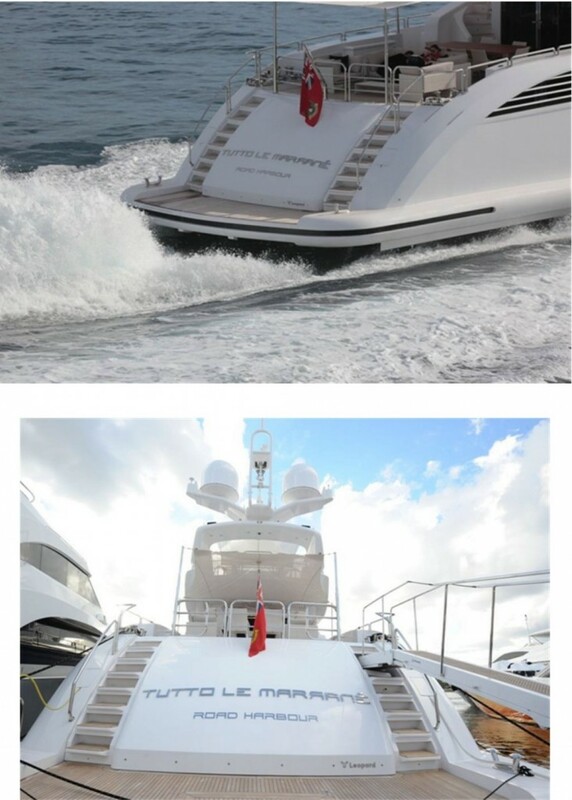 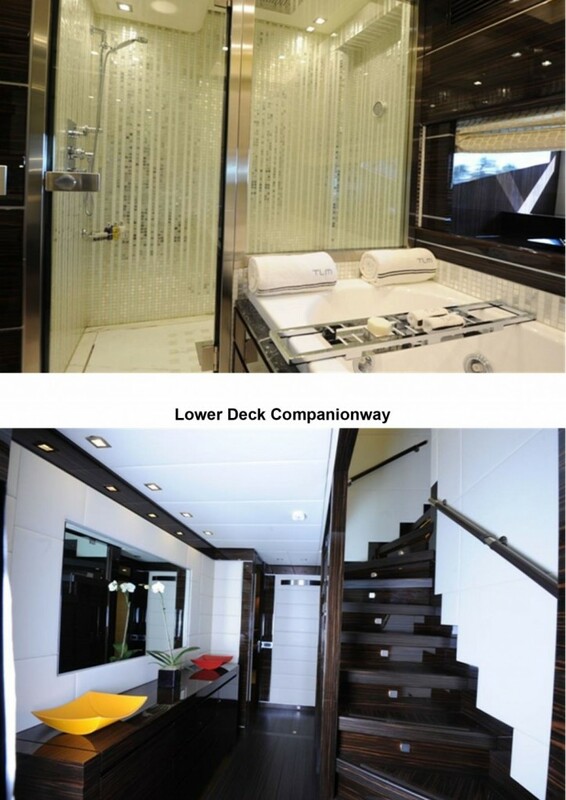 M/Y Tutto le Marranè is designed by Andrea Bacigalupo, with a beautiful interior design by wellknown Cristiano Gatto. 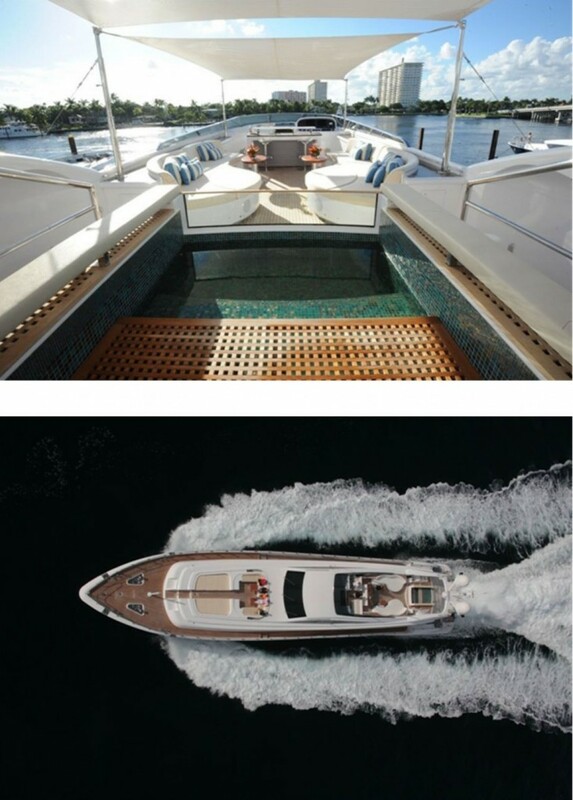 This sophisticated yacht can comfortably sleep up to 10 guests. 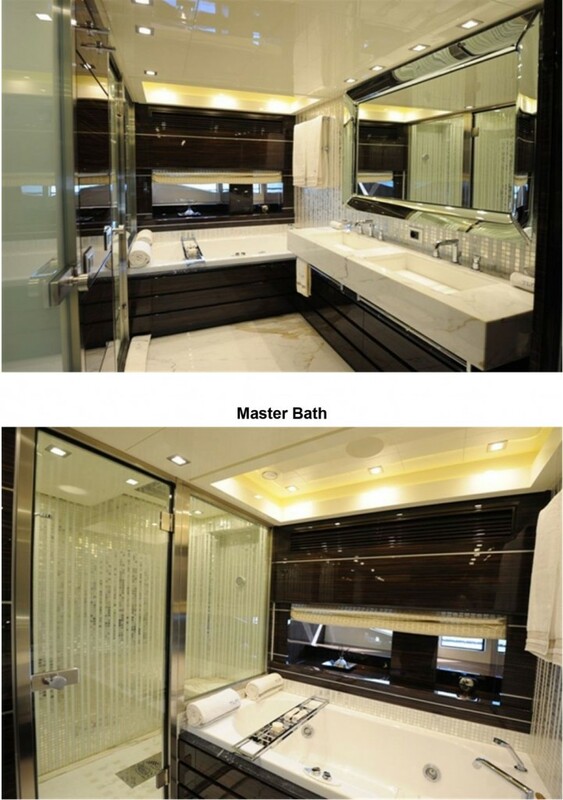 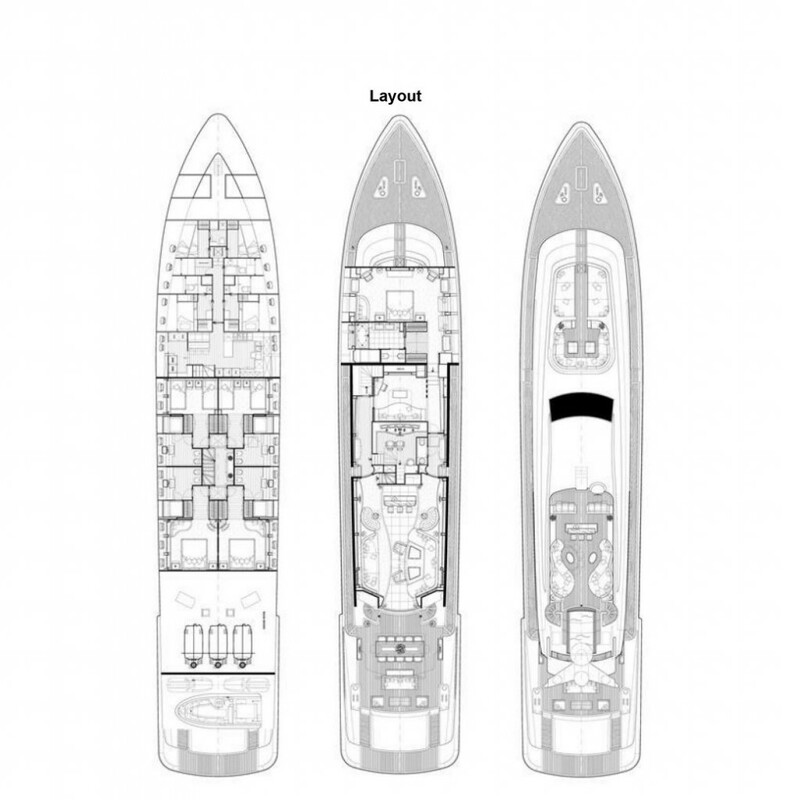 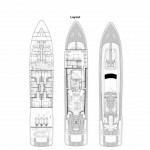 There is a spacious full beam Master suite located forward on the main deck with an en suite bathroom incorporating a whirlpool bath, his and her washbasins, and a Hammam steam shower. 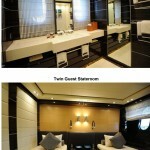 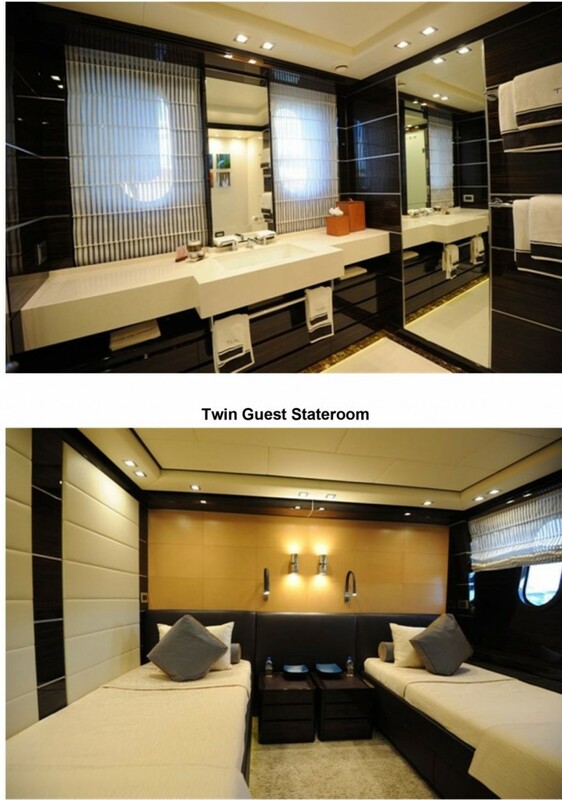 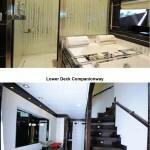 Located on the lower deck are 2 ensuite double cabins and 2 luxurious ensuite twin cabins. 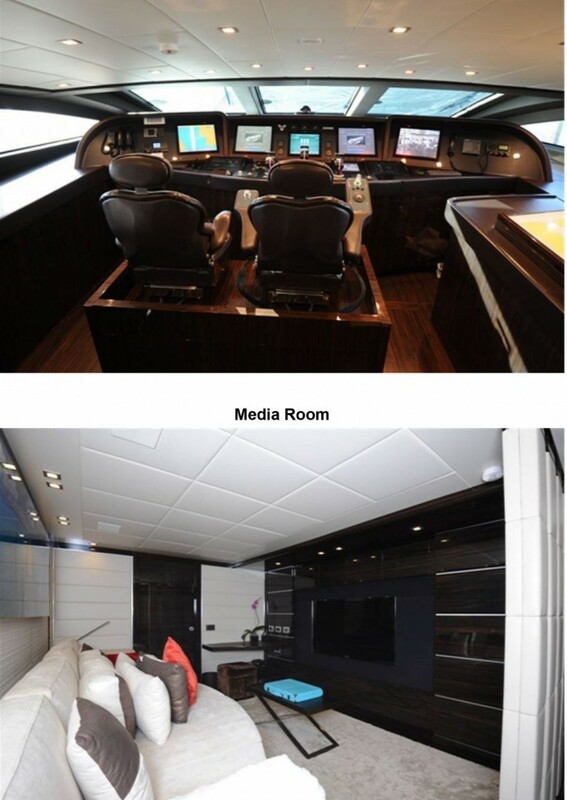 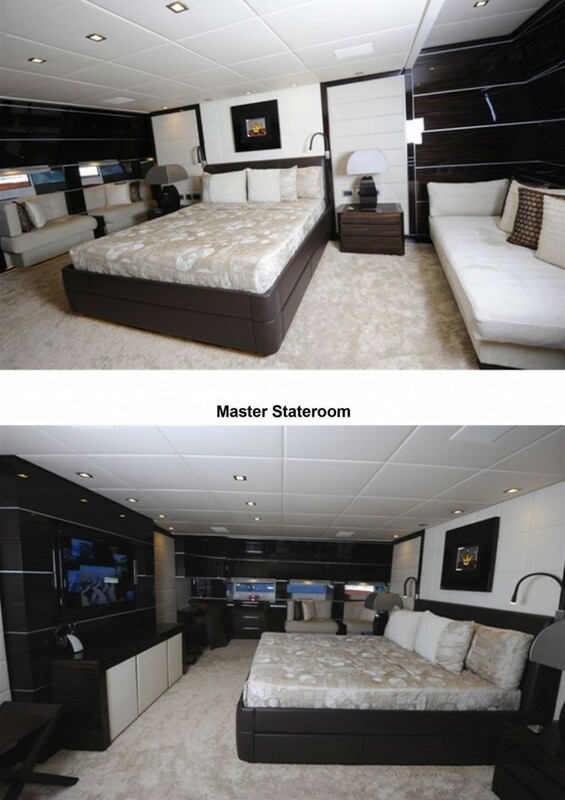 There is very generous headroom throughout the yacht. 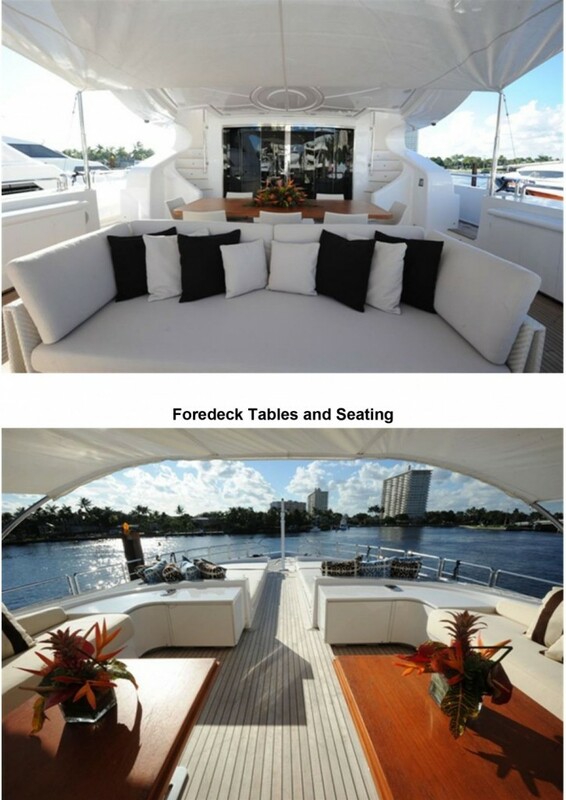 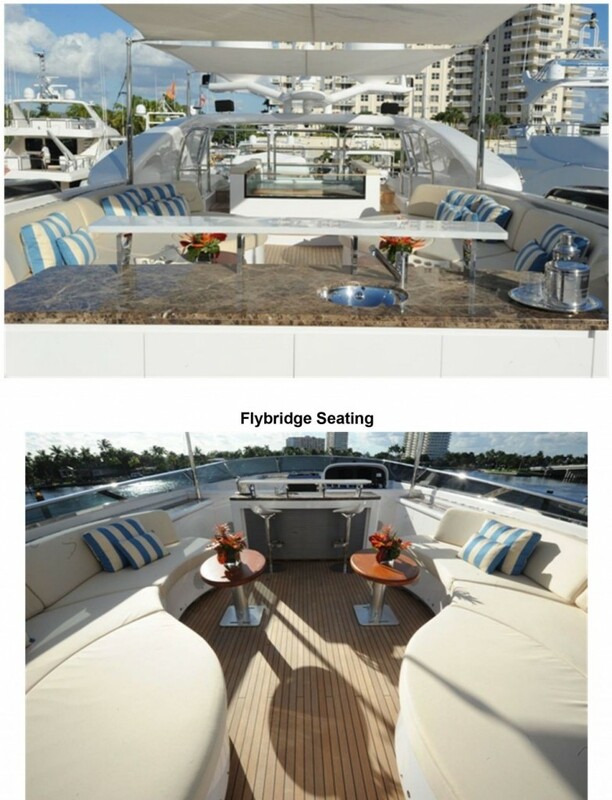 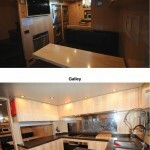 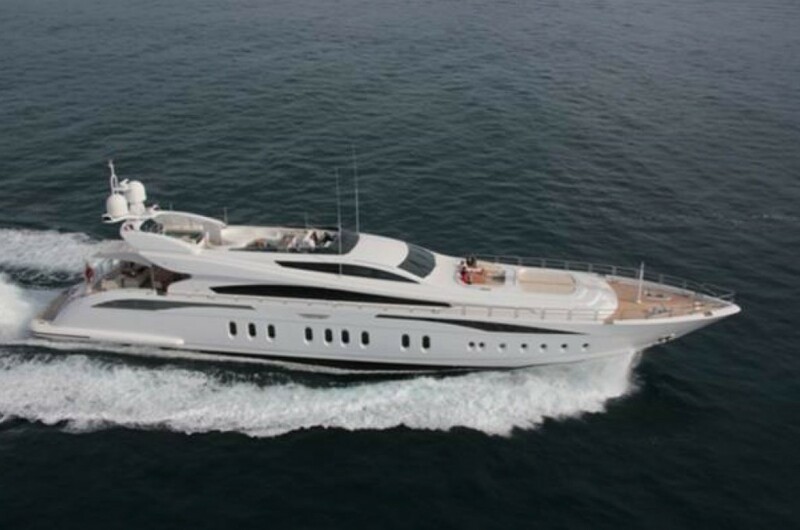 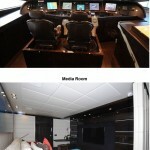 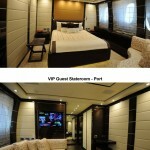 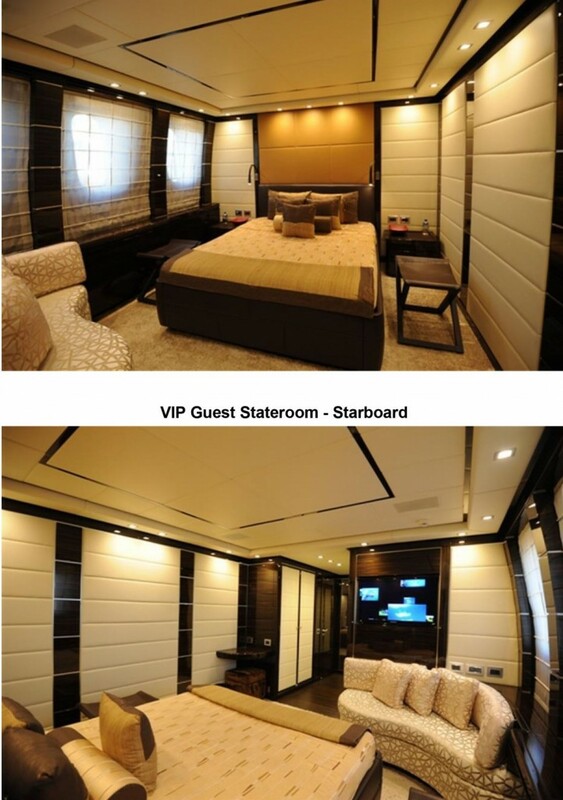 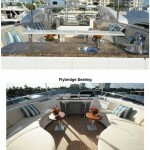 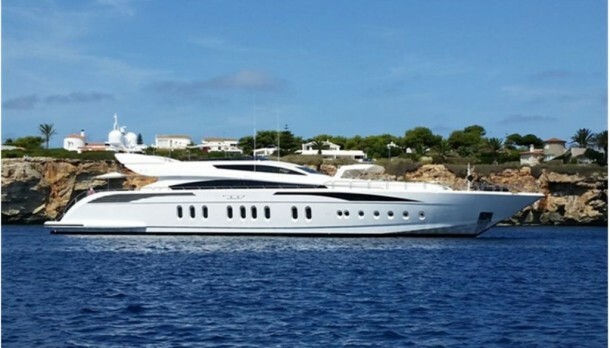 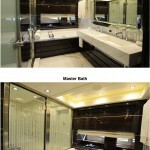 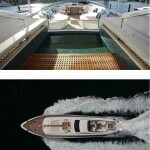 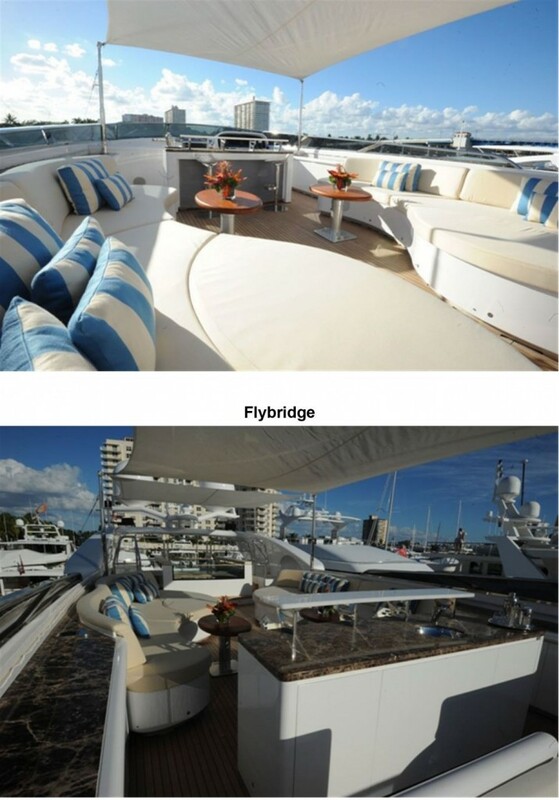 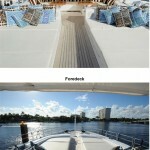 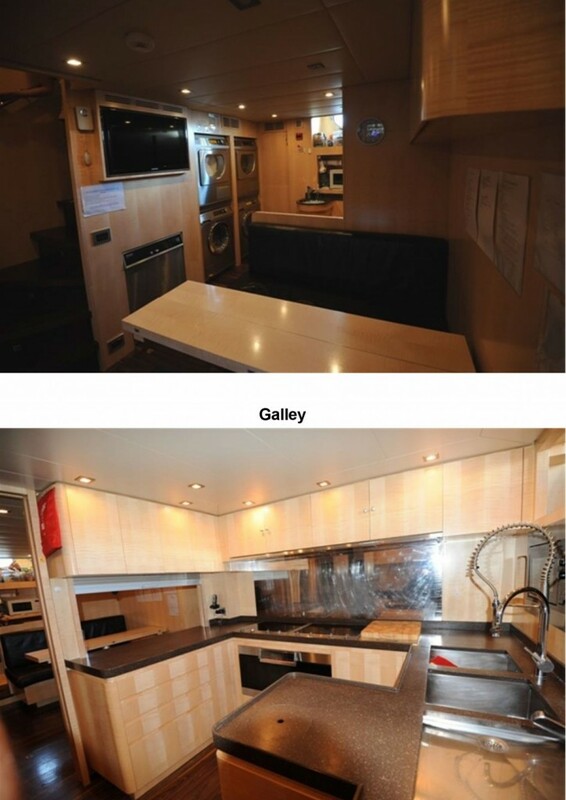 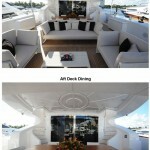 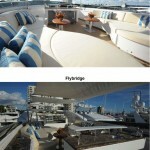 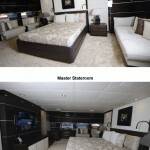 The yacht also accommodates 8 crew in four spacious crew cabins with 4 bathrooms. 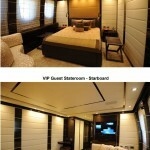 wood and leather, creating a wonderful social area where all guests can relax together. 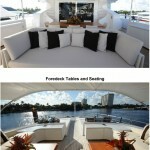 The coffee tables in the salon can be converted to a formal dining table with seating for 10 guests. 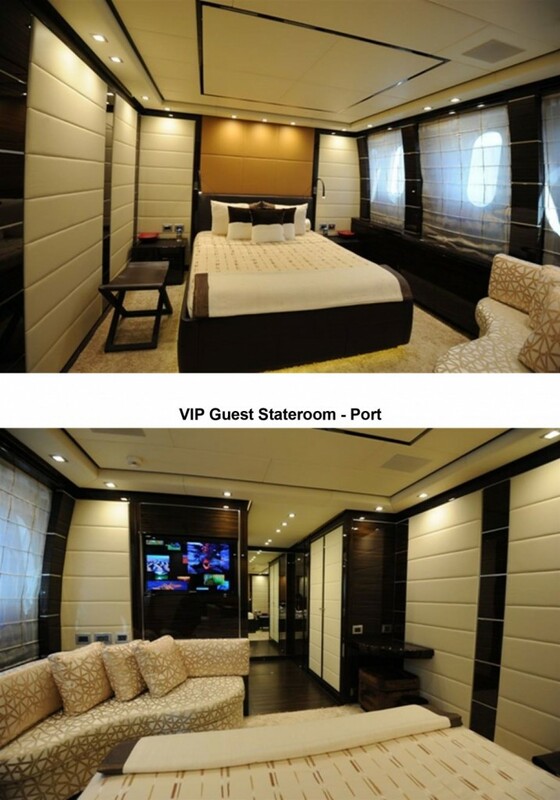 This room also has a retractable strobe lighting system operated by remote control which can be used in conjunction with the pedigree DENON sound system. 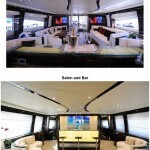 To accompany the strobe lighting system is a portable smoke machine. 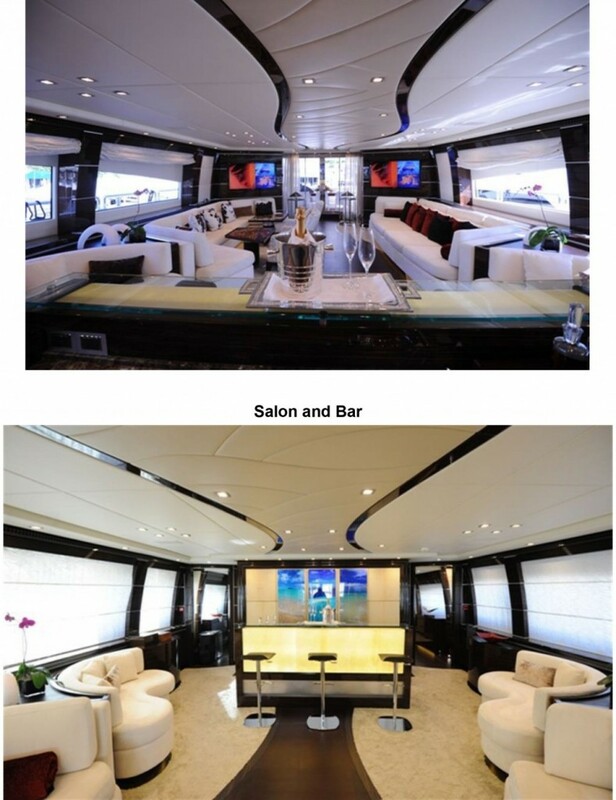 There is an additional smaller saloon or “media room” set up with a comfortable sofa and large screen TV forward of the main salon. 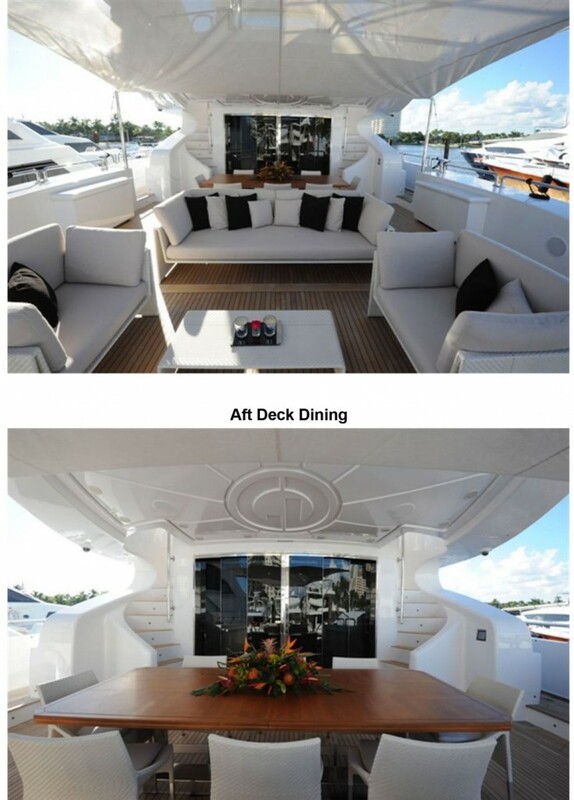 seating area and low level tables and a TV. 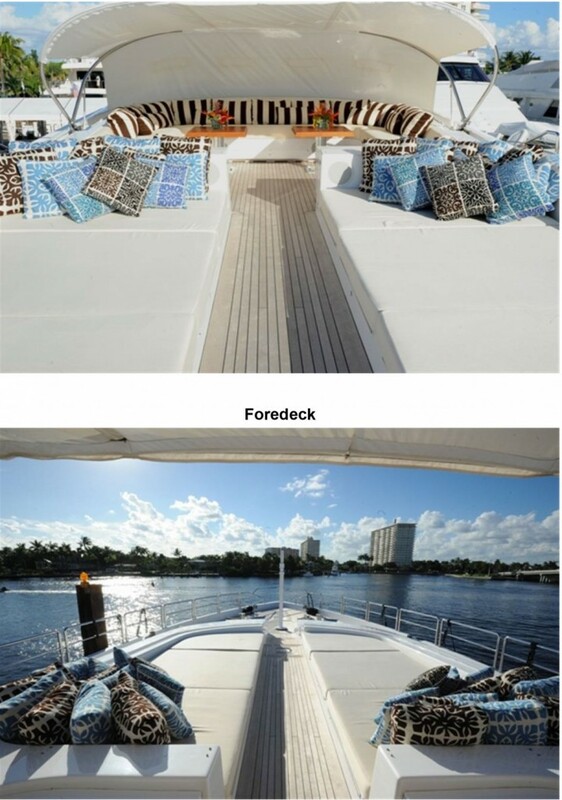 Sundeck awnings come in a square shape for maximum shade during the day and a triangular shape for star gazing at night. 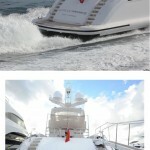 36 knots – lt/h 1900 – nm520.